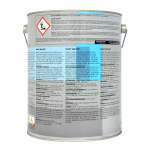 High durability, matt finish, for interior use in low wear areas. Helps to maintain a hygienic environment. 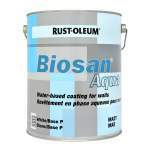 Rust-Oleum Biosan is a low VOC content matt finish. 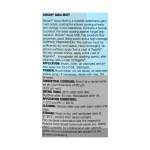 It is a washable product which is thinned with water and is suitable for interior use. It is touch dry in 40 minutes and recoatable after 4 hours. Rust-Oleum Industrial Biosan Aqua Matt White is available in 1 colours from the Rust-Oleum Industrial Colour Cards.